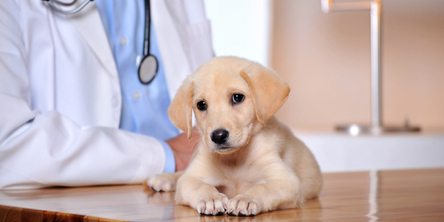 Just like us, our pets routinely get sick and need to see the doctor (0r in their case the veterinarian). Also similar to us, sometimes the scope of the ailment or disease is beyond a general practitioner. If one has cancer you see an oncologist or if one is battling heart disease you see a cardiologist. With so many specialized fields, it’s not a surprise that there is such a vast difference in costs between your regular veterinarian and a veterinary specialty practice. So much so that families often have to sacrifice proper healthcare for their pets. However, two board-certified veterinary surgeons are looking to disrupt the industry and make things more affordable for consumers. David Allman and Kelly Might are owners of a four year old Austin, Texas company called Mobile Veterinary Specialist. The companies business model allows them to be “traveling surgeons” if you will. They are able to perform specialized procedures in Central Texas, at your primary veterinarians office. At the time of this writing, they are providing services to 60 veterinary offices in the Austin, Texas area. The catch here of course is that they are providing only surgical services. But due to the low overhead of their business, they can perform surgeries at a lower cost, as opposed to a specialist that may have their own office and staff. The business model seems to work. Not only are they able to bring the surgeries to a more affordable rate, but the clients are able to stay in the presence of their family vet and find peace of mind that board certified surgeons are operating on their pets. Also, don’t worry they aren’t doing surgeries in their vehicles, they are using their own surgical equipment in the operating room of the clients primary veterinarian. Of course this type of service isn’t for everyone. Allman and Might will be the first to say that certain procedures which are considered high risk, or those that involve intensive intra- and post-operative care, may be best suited for a specialty hospital. What do you think of the idea of a board-certified surgeon who is mobile? Does that service seem like something you would be willing to pay for? Comment below and don’t forget to share!